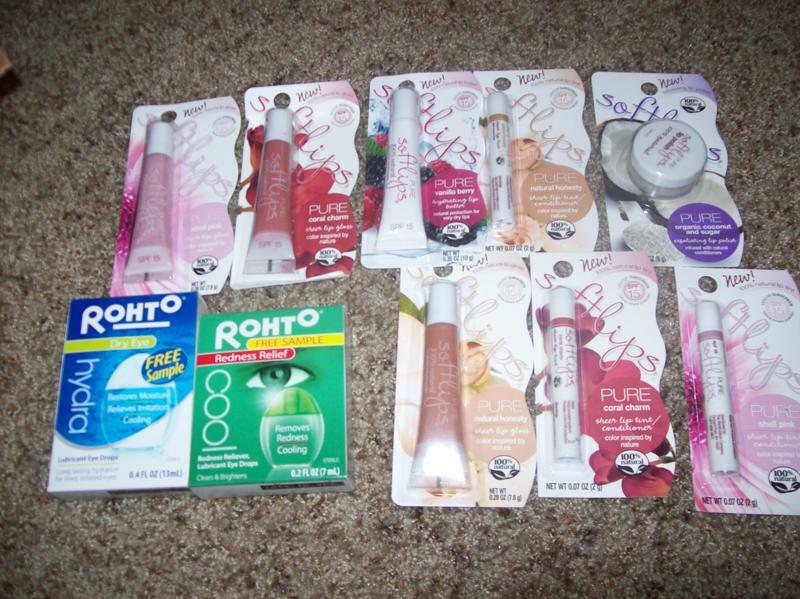 The company that makes Softlips lip balm and Rohto eyedrops sent me a bunch of their products for review. I really like lip balms. The flavor is great, the color is pale enough to be appropriate for work, and it stays on your lips. My mom and sister tried them when they came to visit my husband and I this past weekend and loved them too. I was sent lip stuff from their line Pure. The round container has this exfoliating coconut lip balm on it which is very cool too. Here is what the company has to say about the line "The new Softlips PURE 100% Natural line includes lip glosses, tinted lip balms, lip butter, and a lip polish. The premium products couple 100% natural ingredients with light pleasant flavors and are free from preservatives, phthalates, sulfates, parabens, mineral oil and gluten." The Rohto drops were equally great. With air conditioning in the summer, my eyes get super dry, itchy, and sometimes burn. I put the drops in and within a couple seconds, my eyes felt much better! Thanks for the wonderful products to try! Softlips are some of my favorite lip glosses ever!! I used to use them all the time in middle school/high school and still keep one by my bed all the time (I'm 27 now)! Yeah they are great! Thanks for stopping by! My daughter loves the Softlips!